Betty Cuningham Gallery is pleased to present its first exhibition of the work of Bill Traylor, opening on Wednesday, October 29th from 6 – 8 PM. 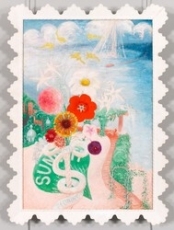 On view will be twenty-eight works from the collection of Charles and Eugenia Shannon, dating from 1939 – 42. 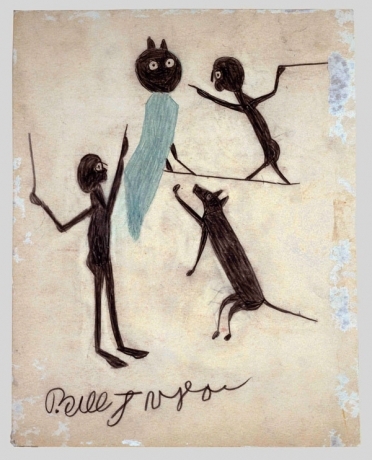 Bill Traylor was born a slave in 1854, on the George Traylor family’s plantation in Benton, Alabama. Following Emancipation, Bill Traylor continued to work for George Traylor and later for his son, Marion Traylor, as a farm laborer and then as a tenant farmer. In 1910, after 56 years, Bill Traylor left the George Traylor plantation and moved to Montgomery County where he continued to farm for another 17 years. 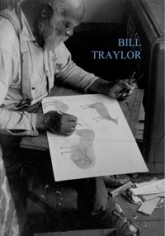 By 1928, at age 74, Bill Traylor had moved to the city of Montgomery, where he briefly worked in a shoe factory until he became crippled by arthritis. 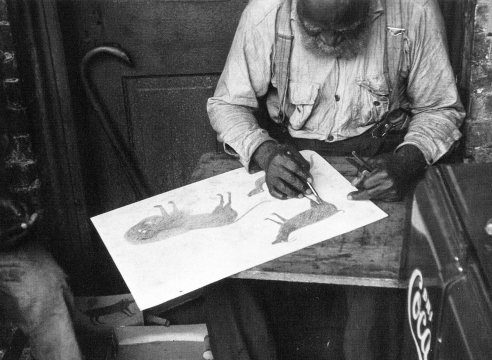 In 1936, homeless and on relief, Bill Traylor was sleeping in the back room of a funeral parlor in downtown Montgomery. 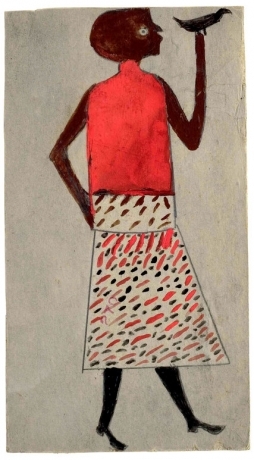 Fascinated by the endless inventiveness and aesthetic beauty of Bill Traylor’s work, Charles Shannon organized Traylor’s first exhibition in 1940 at New South – an arts center in Montgomery founded by Shannon and others. 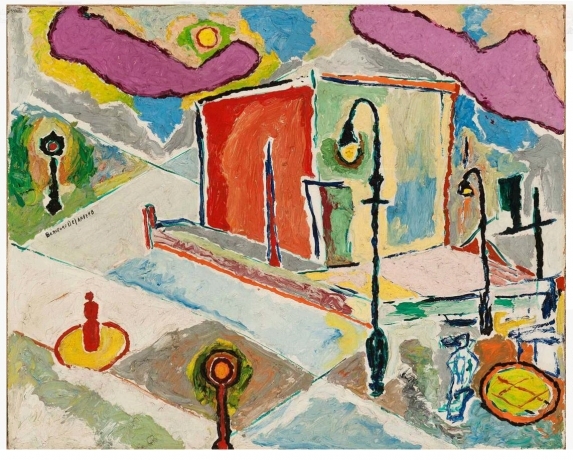 Traylor’s next exhibition, the first in New York, was at the Fieldston School in 1942. 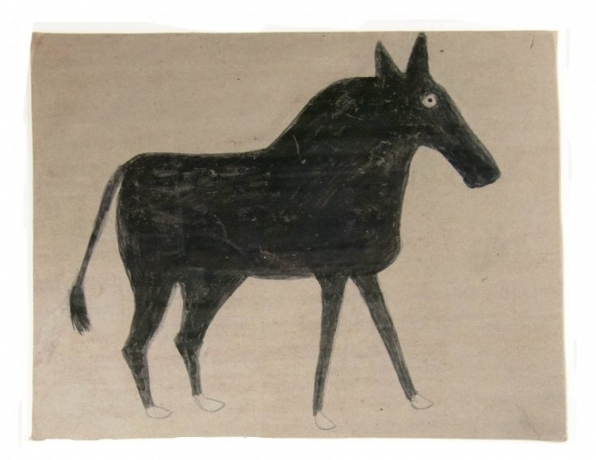 Bill Traylor’s work would not be shown again until 1979-80 at R. H. Oosterom Gallery in New York. Since 1980 there have been numerous exhibitions. 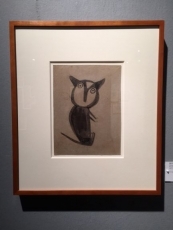 Particularly noteworthy are 1994 – 95 - Lively Times and Events: The Drawings of Bill Traylor, Montgomery Museum of Fine Arts, AL (and travelling); 1998-99 - Bill Traylor (1854 -1949) Deep Blue, Kunstmuseum, Bern, Switzerland and Museum Ludwig, Cologne, Germany (and travelling); and recently in 2013 – Bill Traylor, Drawings from the Collections of the High Museum of Art and the Montgomery Museum of Fine Arts, American Folk Art Museum, New York, NY (and travelling) and Traylor in Motion, Wonders from New York Collections, American Folk Art Museum, New York, NY. Traylor’s work can today be found in the collections of The Metropolitan Museum of Art, New York, NY, the Museum of Modern Art, New York, NY, The Whitney Museum of American Art, New York, NY, the Menil Collection, Houston, TX, the Milwaukee Art Museum, Milwaukee, WI, Philadelphia Museum of Art, Philadelphia, PA and the National Museum of American Art, Smithsonian Institution, Washington, DC, among others. 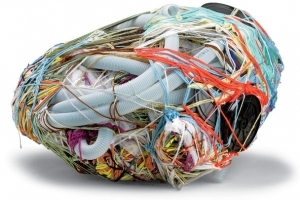 The exhibition will remain on view through Saturday, December 6, 2014.